FuelOffice is the innovative back office system for petrol station owners that integrates the complete chain: from wholesale trade, oil company and industry organisation to your own inventory management, checkout systems and financial administration. This value chain integration reduces your administrative burden significantly. Use it to increase margins, reduce inventory and improve staff utilisation. It also enables you to increase customer loyalty. The FuelOffice ERP system integrates seamlessly with, among others, the following suppliers: Lekkerland, Sligro, DeliXL, NewCo, SSC, Nedac Sorbo and Havi Logistics. This is the only petrol market back office system that integrates with so many wholesale chains. FuelOffice exchanges a variety of information with these parties to simplify your work. As a result supplier prices, product descriptions and bar codes appear automatically in the system. The platform sends new orders electronically to the wholesaler, linking them with the packing slips and purchase invoices that are later entered into the system. Any discrepancies in deliveries are communicated by FuelOffice to the supplier, who then submits a credit note via the system. 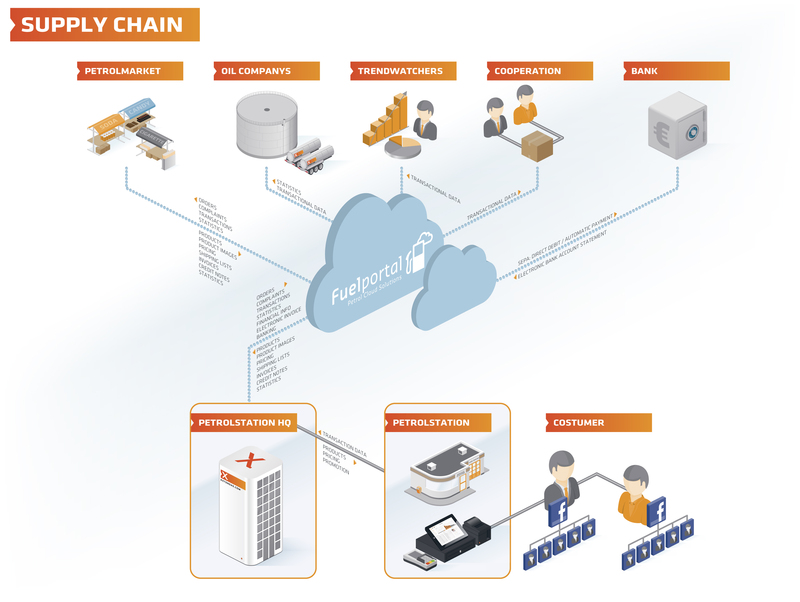 FuelOffice is also ideal for chain integration. The various modules of the innovative platform enable native linking with almost all third parties in the petrol market. This is done directly via the FuelPortal cloud platform or via common exchange standards such as EDI, XML, and AS2. Every petrol station owner can profit from FuelOffice. It doesn’t matter if your station is fully, partially or not owned by a company (COCO, CODO or DODO).